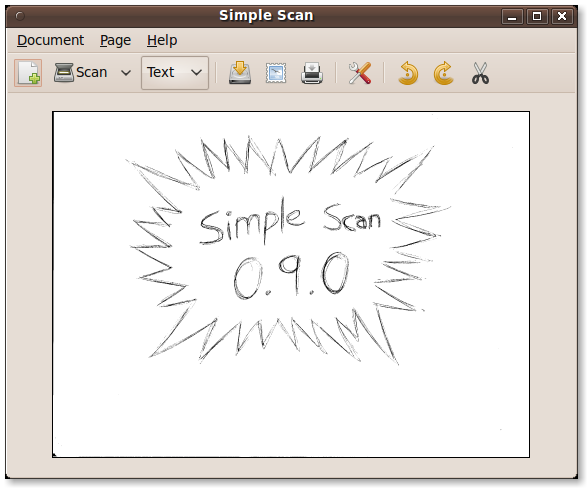 This is Simple Scanning Utility for your ubuntu system. it is scary to see that a lot of energy is spent on similar projects ! to cudjoe : You are so right. When Lucid is released in October how will that upgrade affect the current installation of Simple Scan? That is: will it cause Lucid’s install/upgrade to balk? Should I uninstall SS and the ppa/repository line? I don’t want Lucid adding two separate “software sources” for Simple Scan, thereby screwing up the Syn. Pkg. Mgr., et cetera. Will this app automatically “just work” with any scanner you have? What about a Samsung network laser printer / scanner? This is the best intructions to install Simple Scan, I saw many pages and all of them can’t show so simple like this page. Thanks Very Much. Trying to make this work with LaserJet M1212nf and hplip. Starts to scan then ends with messge “error communicating with scanner”. I am experiancing “page creep” when using the ADF on HP 5590 scanner. Do you have any suggestions on correcting this?